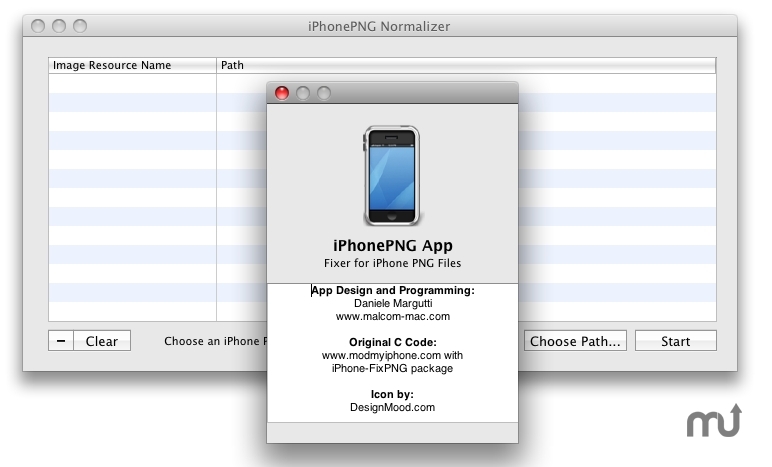 Show/fix png image resources inside an iPhone application. Is there a better alternative to iPhonePNGApp? Is iPhonePNGApp really the best app in File Management category? Will iPhonePNGApp work good on macOS 10.13.4? iPhonePNGApp is a small utility that allows you to fix and show png image resources inside an iPhone application (this because iPhone uses a customized version of PNG format you can't read with normal image editing programs). iPhonePNGApp needs a review. Be the first to review this app and get the discussion started!